The first socialist party formed in France was the Workers Party in 1880. 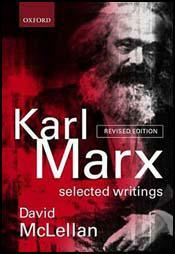 Its first leader was Paul Lafargue, the son-in-law of Karl Marx. The party suffered from internal divisions and by 1895 had split into five different parties. In 1900 a congress was held where socialists attempted to obtain a united party. This proved impossible but two new grouping did emerge, the revolutionary Socialist Party of France and the French Socialist Party that advocated a parliamentary route to power. The Socialist Party of France was led by Jules Guesde and Edouard Vaillant. This party failed to make much progress and in 1905 it merged with the French Socialist Party under the leadership of Jean Jaurés. The new Socialist Party grew rapidly at the beginning of the century but split over the correct response to German militarism. Jean Jaurés advocated a policy of international arbitration whereas others supported the Triple Entente. During the war fever that swept through Europe during the summer of 1914, Jaurés continued to argue for peaceful negotiations between European governments. On 31st July, 1914, he was assassinated by a young French nationalist who wanted to go to war with Germany. After the First World War the Socialist Party split again over the issue of the Russian Revolution. In 1920 Marxists left to form the French Communist Party. Concerned by the emergence of Adolf Hitler in Nazi Germany, a group of politicians, led by Leon Blum, Edouard Daladier, Maurice Thorez, Edouard Herriot, Daniel Mayer formed the Popular Front in 1934. Parties involved in the agreement included the Socialist Party, the Communist Party, and the Radical Party. The parties involved in the Popular Front did well in the 1936 parliamentary elections and won a total of 376 seats. Leon Blum, leader of the Socialist Party, now become prime minister of France. Once in power the government introduced the 40 hour week and other social reforms. It also nationalized the Bank of France and the armaments industry. Leon Blum lost office in June 1937 but returned to power in March, 1938 until April 1938 when he was replaced by Edouard Daladier, leader of the Radical Party. Socialist Party in France divided into two groups over the issue of appeasement. Leon Blum, who controlled the party newspaper, Le Populaire, believed the best way to halt the rise of Nazi Germany was a military alliance with the Soviet Union. Whereas Paul Faure, the secretary-general of the party, was strongly anti-Communist and supported the signing of the Munich Agreement. After Henri-Philippe Petain signed the armistice in 1940 the Gestapo began hunting down socialists and communists. Most of them went into hiding. The obvious place to go was in the forests of the unoccupied zones. Eventually these people joined together to form the Maquis. As they grew in strength they began to organize attacks on German forces. They also helped to get Allied airman, whose aircraft had been shot down in France, to get back to Britain. Other members of the Socialist Party such as Pierre Brossolette and Daniel Mayer, formed the Comité d'Action Socialiste in January, 1941. Other socialists were active in Liberation, another left-wing resistance group. In May 1943, Jean Moulin persuaded the Comité d'Action Socialiste to join forces with Combat, Front National, Liberation, Francs-Tireurs Partisans and the Armée Secrete to form the Conseil National de la Resistance. After the Second World War the Socialist Party emerged as the second largest party. In 1946 it won 20 per cent of the vote but during the next twenty years its support declined and in the election of 1969 it won only 5 per cent of the vote. In 1971 Francois Mitterrand became the new leader of the Socialist Party. Over the next few years he embarked on a strategy of electoral union with the Communist Party. This proved highly successful and by 1978 it became the single most popular party in France and in 1981 Mitterrand was elected president. As president Mitterrand introduced a series of radical economic and political reforms. This included nationalizing financial institutions and several large corporations, raising the minimum wage, improved welfare benefits and abolishing the death penalty. However, after the 1986 elections the Socialist Party lost its National Assembly majority and Mitterrand was forced to work with a right-wing coalition government.